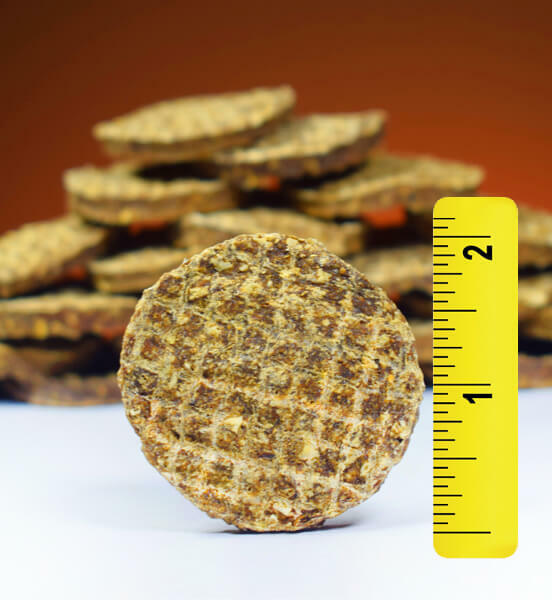 Duck Cookies | Treats for Dogs | Springtime, Inc.
Real-meat duck cookies are a healthy treat your dog will love. Natural and gluten free. Dogs adore Springtime's delicious Duck Cookies. Low in fat, high in protein, duck meat is a rich source of vitamin, minerals, antioxidants, and healthy fatty acids. 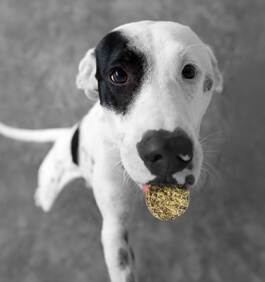 Duck meat is also an allergy friendly alternative for dogs that are food sensitive to chicken or beef. Springtime's Duck Cookies are slowly dried at low temperature in vintage smokehouses for peak nutrition and flavor for an active, healthy lifestyle. Only two premium, food grade ingredients make up our Duck Cookies: duck meat and egg powder (a healthy protein that acts as a binder). This is a healthy treat with no fillers, by-products, dyes, chemicals, or preservatives added! Duck Meat is a rich source of trace minerals like selenium, zinc, copper, and iron. These help boost the immune system, support the thyroid, promote red blood cell health and keep energy levels balanced. Vitamin B3 (niacin) and many other B vitamins help keep the heart strong as well as contribute to skin and coat health. Duck meat also contains Vitamin A for eye health and Omega 3 and Omega 6 for antioxidant support against free radicals. Ingredients: duck meat and egg powder. Big Cookies for a Big Value!